With the holidays fast approaching, I’m always looking for a yummy new cocktail that everyone can enjoy. 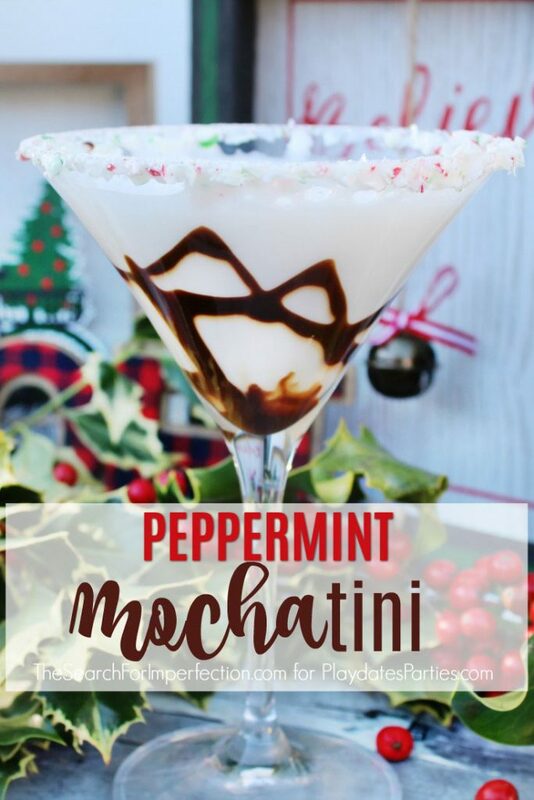 It’s sometimes hard to please all the different tastes, but this Peppermint Mochatini Cocktail will definitely put the whole gang in the holiday spirit. Even people who don’t normally like martinis will enjoy this cocktail. But let me back up for a minute and introduce myself. 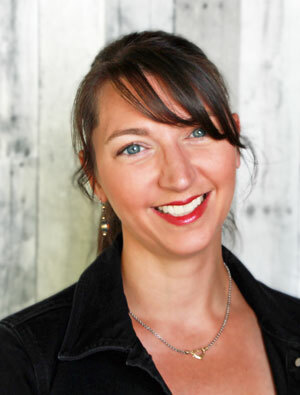 I’m Jen, and I blog over at The Search for Imperfection where I help busy parents navigate life, and embrace imperfection. Part of being a busy parent is finding drinks with that “wow” factor, but require minimal effort. And your guests would never believe how simple this cocktail is to make. I have to admit, when I started playing around with different holiday cocktail recipes, I wasn’t so sure about using a coffee creamer in a martini. The first time I saw a cocktail that used it, I was super skeptical. But then once I discovered how amazing it made this Caramel Apple Martini taste, I became a firm believer in the delicious powers of coffee creamer. Don’t get me wrong, though. I’m all about using all natural, healthy ingredients whenever possible. But sometimes, just sometimes, you need a quick delicious party drink that will ultimately become your signature cocktail. I hope this becomes the perfect signature you’ve been looking for. Start by putting the Starlight mints in a zip top bag, and using a hammer or meat tenderizer to crush them up. 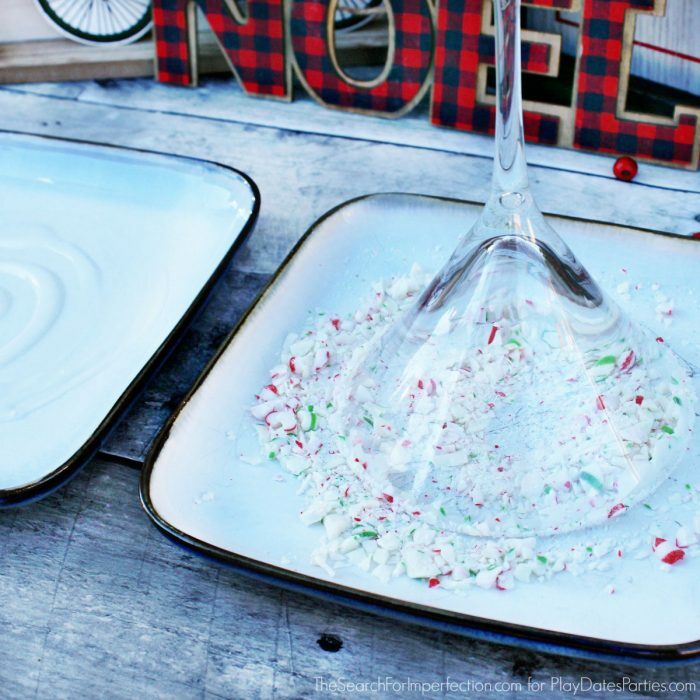 Pour the crushed mints out onto a plate. Drizzle the white chocolate sauce around in a circle around another plate, estimating the circumference of the martini glass (it does not need to be exact). Dip the rim of the martini glass into the white chocolate first, then into the crushed peppermints. 5. Next, swirl the chocolate sauce around the inside of the glass. 6. Fill a cocktail shaker with ice, and pour the vodka, peppermint schnapps, and peppermint mocha coffee creamer in the shaker.Shake it up, then strain into the martini glass. 7. Now sit back, relax, and enjoy! 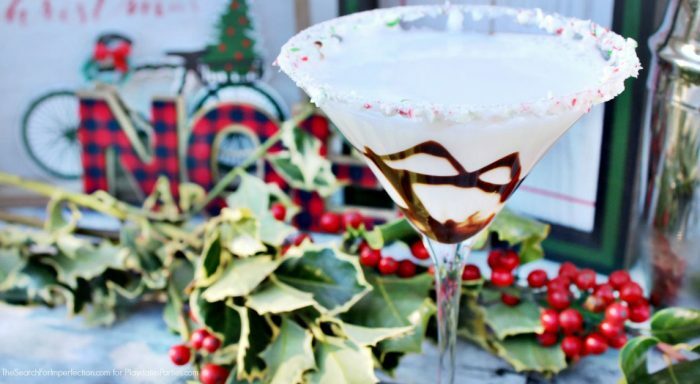 This Peppermint Mochatini cocktail recipe will put the whole gang in the holiday spirit, even those who don't usually like martinis. Next, swirl the chocolate sauce around the inside of the glass. Fill a cocktail shaker with ice, and pour the vodka, peppermint schnapps, and peppermint mocha coffee creamer in the shaker.Shake it up, then strain into the martini glass. Thanks so much Leslie for letting me share this yummy holiday cocktail. For more recipes, diy/crafts, homemaking, and parenting nuggets from The Search for Imperfection, follow us on Facebook, Pinterest, Instagram, and Twitter. What a beautiful festive cocktail Jen! I just pinned it to make it next week – we will have a full house, lol! Love the idea of this cocktail. Given the current political climate, holidays at our house are a bit tense. I think this drink might just be the ticket for creating a sense of peace and joy at our Christmas dinner. Thanks for the recipe. Oh, this looks good! 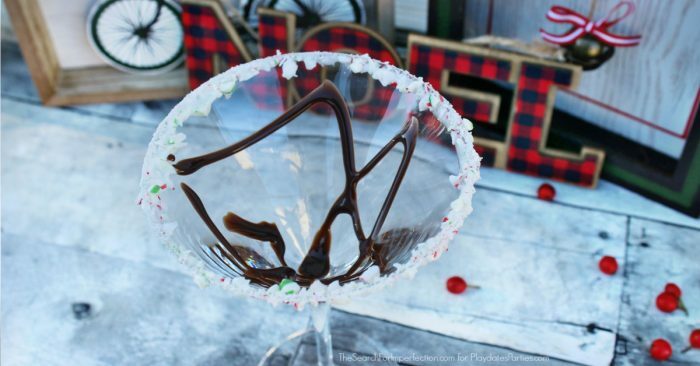 Can’t go wrong with peppermint + chocolate. Visiting from Hearth and Soul party. Thank you for linking up at Aprons and Pearls, however, the rules do state that alcoholic drinks are not allowed. Please feel free to share any other recipes after rereading the rules! This is a perfect holiday drink. I pinned it to my cocktail board. Thanks for sharing on Sunday’s Best. Wow this looks so good! Perfect for Christmas Eve. Thanks for posting on Inspiration Monday! I’ll have to try this one! Love how pretty this drink looks. I will try to my best to make mine look just the same and impress some neighbours! Yum! Sounds like a delicious drink to serve at a holiday party. 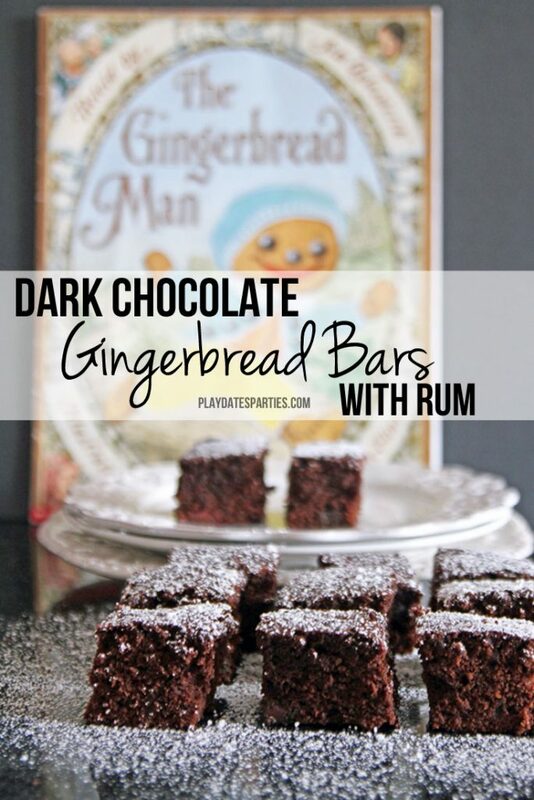 Thanks for sharing your recipe on MM. 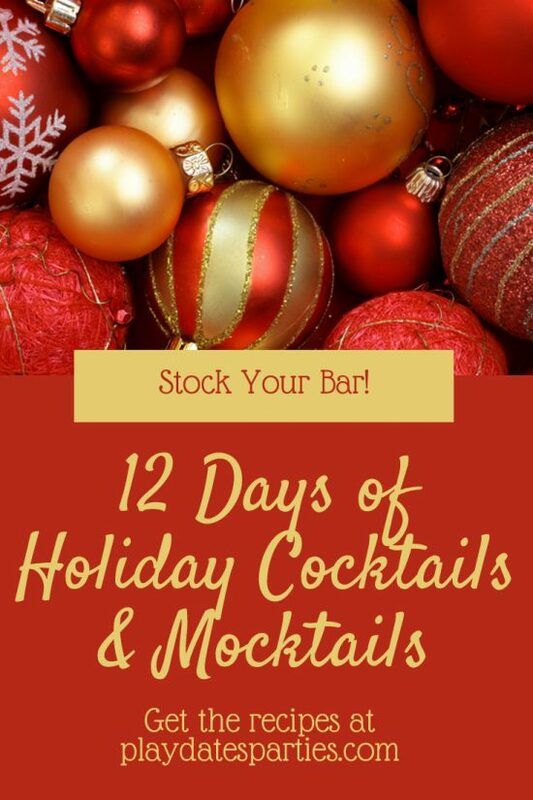 My party features this week are focused on New Year’s Eve so including this cocktail and your Stormy IPA cocktail as well! Thanks for participating in our Party in Your PJs! Love how you’ve rimmed the glass! What a delicious way to toast the New Year! 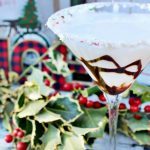 Thank you for sharing this Peppermint Mochatini Cocktail recipe at The Hearth and Soul Link party. Sharing on the H&S Facebook page today. Happy New Year to you and yours! We made this cocktails for Christmas Eve and New Year’s Eve. They were a big hit!! Thanks for sharing! Lovely…thanks for sharing on Fiesta Friday!